Efficacy was greater in the group receiving triple therapy compared with the dual therapy group. Early triple combination therapy with metformin, dapagliflozin, and saxagliptin offers better improvements in glycemic control than a dual therapy strategy with metformin and sitagliptin in patients with uncontrolled type 2 diabetes, according to study results published in Diabetes, Obesity and Metabolism. Researchers conducted this 52-week active-controlled parallel-group phase 3b trial to compare the safety and efficacy of an intensification strategy of early triple-combination therapy with sodium-glucose cotransporter 2 inhibitor dapagliflozin and dipeptidyl peptidase-4 inhibitor saxagliptin and a dual therapy strategy with dipeptidyl peptidase-4 inhibitor sitagliptin in patients with inadequately controlled type 2 diabetes receiving metformin monotherapy. In total, 461 patients (average age, 55.9 ± 9.2) with glycated hemoglobin (HbA1c) levels between 8% and 10.5% were randomly assigned to receive metformin plus both dapagliflozin and saxagliptin (n = 232) or only sitagliptin (n = 229). The groups had similar patient demographics and characteristics at baseline. Overall, mean HbA1c at baseline was 8.8%. Compared with patients in the sitagliptin group, patients in the dapagliflozin and saxagliptin group on average experienced a significantly greater reduction in HbA1c levels at both week 26 (-1.07% vs -1.41%, respectively; P =.0008) and week 52 (-0.81 vs -1.29, respectively). The between-group difference in adjusted mean HbA1c change from baseline increased from -0.34 at week 26 to -0.48 at week 52. Compared with the sitagliptin group, more patients in the triple therapy group reduced their HbA1c level to <7% by week 26 (25.1% vs 37.3%, respectively; P =.0034) and week 52 (19.5% vs 33%, respectively). With regard to safety, both groups demonstrated similar levels of tolerance; 17 patients in the sitagliptin group had treatment-related adverse events compared with 22 patients in the triple-therapy group. 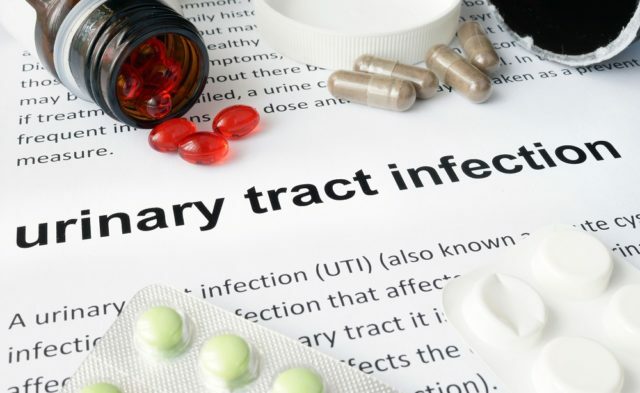 SGLT2 Inhibitors and Urinary Tract Infections: What's the Link? Study limitations included a lack of a single add-on of dapagliflozin for comparison with the effects of a dual add-on. Some authors disclosed ties to the pharmaceutical industry. Please see original resource for full list of disclosures.